Dark chocolate tea - Monsieur T.
Let’s get real for a moment. 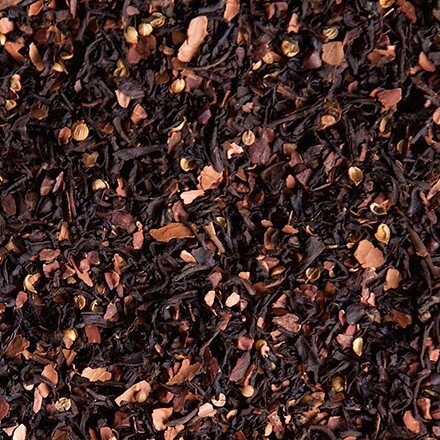 This blend of the best black tea from Ceylon and China is “IT”. In “IT”, cocoa and coriander deliciously highlight the slightly bitter and concentrated taste of 80% dark chocolate. We’re far from the easter bunny found at your local pharmacy, despite all the respect we have for him. This tea is a treat for "adults" chocolate lovers. For a sweeter drink, add a little sugar and milk. It's legal, you know! Contains: Black tea (65%), cocoa, coriander, flavors.